The Donald J. Comes Natural Resources Learning Center on 9011 Route 46 will provide hands-on educational experiences at their 41-acre outdoor learning center in McKean County, Pennsylvania. Future educational programs for youth and adults will include: Nature Study – Forestry and Wildlife, Water Resources – Stream Study, GPS/GIS Utilization and Mapping, Erosion and Sedimentation Control, Storm water Management, Sustainable Forestry Practices, Vegetable and Flower Gardening, Sugarbush Development and Maple Syrup Production, along with a wide variety of other forest and wildlife awareness programs. Demonstration sites will give hands-on educational experiences in renewable natural resources. Studies and courses will be offered to foresters, 4-H groups, schools, clubs, nature enthusiasts and others. 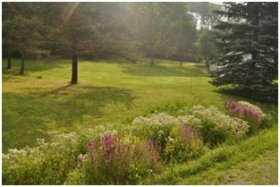 Still to come and under development are interpretive hiking trails, pavilions, restrooms, gardens, and a canoe launch area on Potato Creek. The Center will provide programming for small and large groups. Trails and facilities will be open to the public. Supporters are needed to make future plans for the Center reality. The Center Leadership Team meets monthly for planning purposes. Financial contributions are welcome from businesses and individuals. 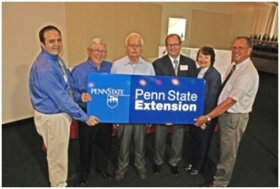 Contact the Penn State Extension Office for more information. Visit our Facebook page for updates as development proceeds. Find out how you can help: Download the flyer for more information.